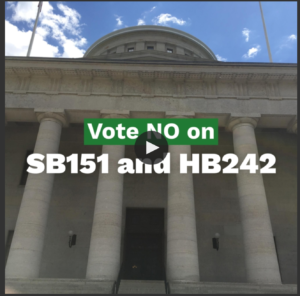 On June 14, OAPSE State Vice President Lois Carson testified against HB151, which would change state law to allow the School Employees Retirement System (SERS) to cut and freeze pension cost-of-living adjustments (COLAs) without the consent of the legislature. 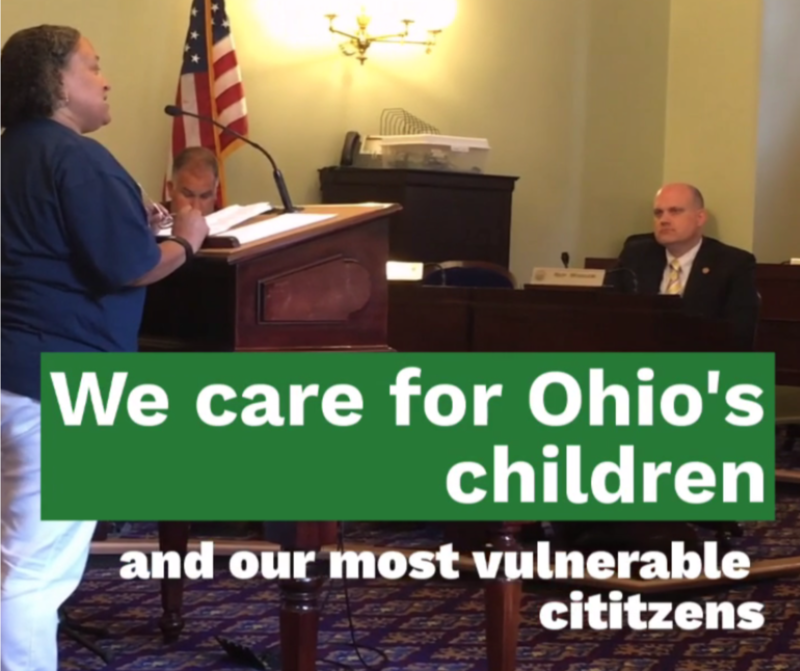 Carson appeared before the Ohio House Committee on Aging and Long-term Care. She was accompanied by members of the OAPSE State Executive Board. She told committee members that OAPSE members who pay into SERS do the important work of taking care of public school children. “We are bus drivers, bus aides, mechanics, librarians, food service workers, custodians, educational aides and secretaries like me. We provide critical services to school children across Ohio, and we are proud of the work we do. We don’t make a lot of money. In fact, the average annual salary of an OAPSE member is about $24,000. It’s tough to make ends meet on that,” Carson reminded committee members. “It’s also financially tough for us when we retire because on average, OAPSE retirees bring home less than $1,200 per month. We need every dollar of our pension. And we count on every dollar and every cost of living increase when we make the decision to retire after decades on the job taking care of our school kids,” she said. “To be clear, the opposition of OAPSE to HB242 and similar legislation in the Senate does not ignore the financial situation at SERS. However, we want to point out for the record that our union – going back at least 20 years – has been strongly urging the retirement system to focus its goals on and protect the long-term retirement security of long-term school employees. In fact, beginning 20 years ago, OAPSE has insisted on stricter requirements for retirement and health care benefits for short-term workers who retire under SERS. I could give you hundreds of examples of OAPSE retirees who worked for 30, 35 or even 40-plus years and are relying on their pension and their cost of living to pay their bills. We think these employees – the ones who put in the time and made a career out of their service in the schools – should be protected from these COLA freezes and cuts. We urged SERS to reward those workers – workers like me who has 30 years as a secretary in Columbus City Schools. We told them as early as 2000, frankly, that it was fiscally irresponsible to guarantee the same level of retirement and health care benefits to career school employees as the system does to those who pass through our schools after retiring somewhere else. We would make the case that if SERS had acted 17 years ago to focus on long-term employees and not short-timers, we would be in much better financial shape at SERS and our members and retirees would not have to worry about retirement insecurity. One other point about the SERS financial situation is the declining revenue for schools districts. Fewer school dollars has resulted in far fewer school employees, and consequently, fewer employees paying into the retirement system. That has had an obvious negative impact on the SERS investment funds. For more on OAPSE’s fight to protect pensions, check out the video below.